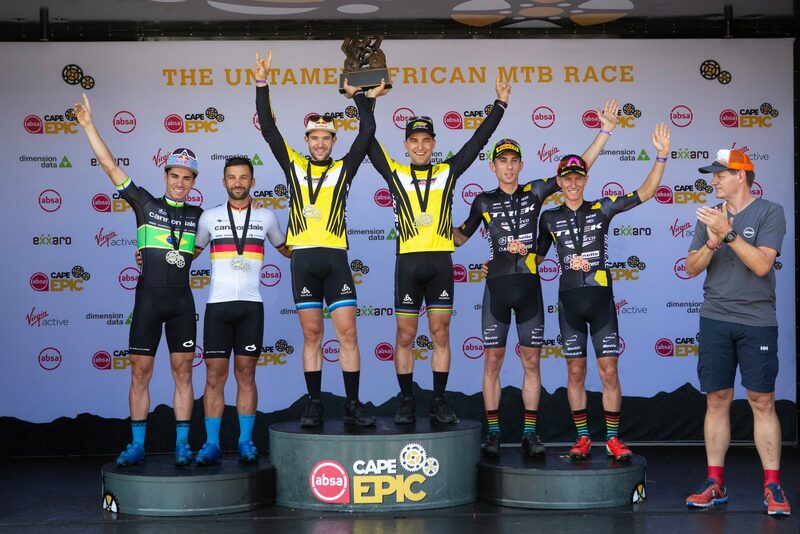 La Cape Epic 2019 è stata dominata dal team Scott-Sram di Schurter e Forster, rallentati solamente da una foratura durante la terza tappa. Per il resto i due svizzeri hanno annientato la concorrenza. Ottimo terto posto di Ferraro e Porro del team Trek Selle San Marco, preceduti da Avancini e Fumic di Cannondale. With 70km and 1 800m of vertical gain standing between Scott-SRAM MTB-Racing and overall victory on the Champs-Élysées of mountain biking at Val de Vie Estate, you could’ve forgiven them for playing it safe and cruising to the finish. 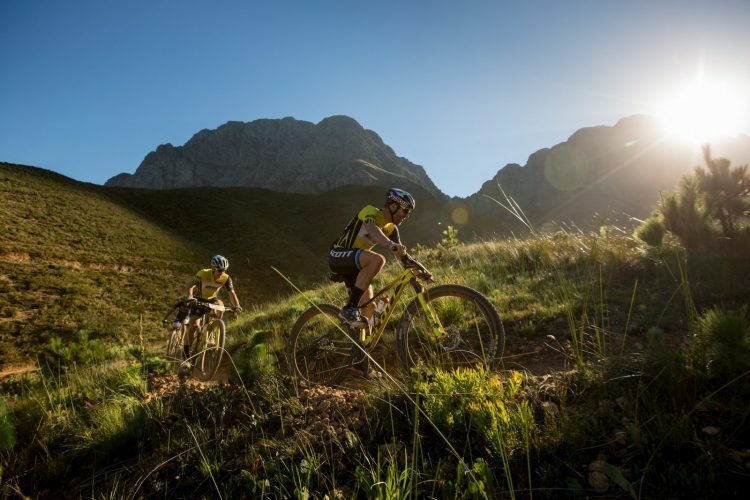 Nino Schurter and Lars Forster went into the final stage from Stellenbosch University to Val de Vie Estate with a comfortable eight-minute lead over second-placed Cannondale Factory Racing. 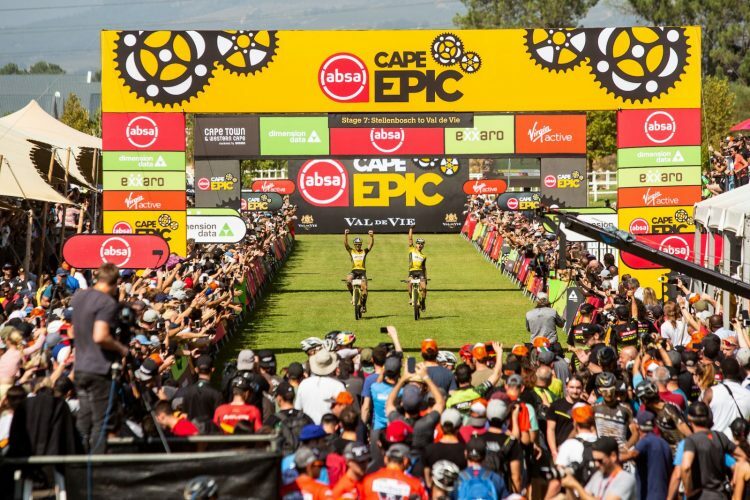 This meant they had to watch only Manuel Fumic and Henrique Avancini to cap off a successful week and claim overall honours at the 2019 Absa Cape Epic. Their conservative run to the finish allowed other teams to gun for coveted Grand Finale stage honours. Queen Stage victors Matthys Beukes and Phil Buys of PYGA Euro Steel seized the initiative early, attacking up a climb in Jonkershoek. The only team who could stay with them was KROSS-SPUR, who had been aggressive all week, winning various Dimension Data Hotspots but to date had been unable to convert that form into a stage win. A win they desperately wanted after being put out of GC contention with mechanical issues on Stage 1. 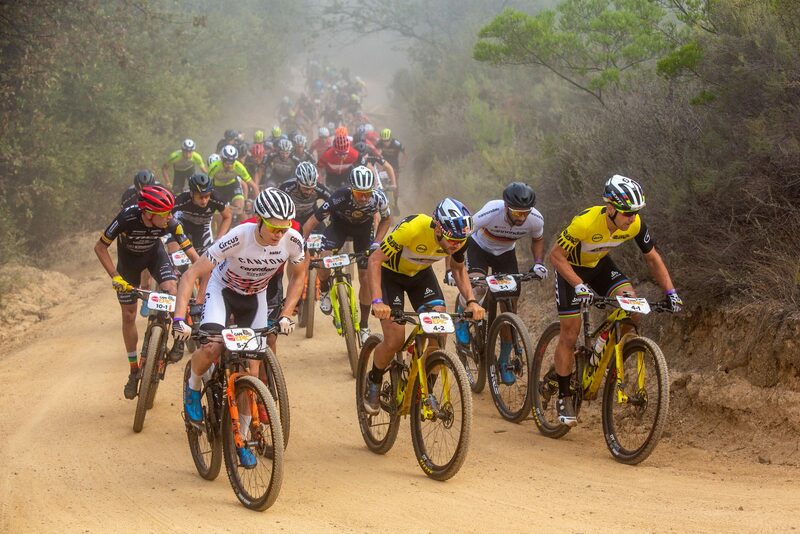 While the likes of CST Sandd, Trek Selle San Marco, both 7C CBZ WILIER teams, SpecializedFoundationNAD as well as the Team BULLS outfits of Heroes and Young Guns were left to chase across a route which featured the best of Jonkershoek, Vuurberg, Boschendal and Val de Vie’s trails, KROSS-SPUR Racing and the South Africans worked well together all the way to the finish. Onto Val de Vie Estate and the long final stretch it came down to a bunch sprint, which saw Matthys Beukes cross the line first, but Sergio Mantecon Gutierrez and Ondřej Cink followed closely in second and third, giving them stage honours. It also proved a special day for Sebastian Fini and Martins Blums of CST Sandd who finished on the stage podium for the first time in the race. 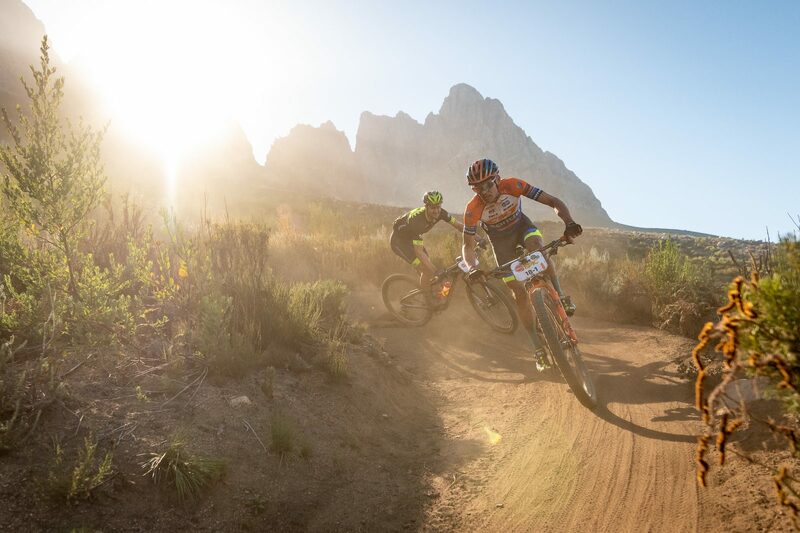 As well as SpecializedFoundationNAD’s Alan Hatherly and Matt Beers, who finished sixth on the day doing enough to stay in fifth overall and win the Absa African Men’s Jersey. If that has inspired you, Early Bird entries – which sell out almost instantaneously each year – for the 2020 Absa Cape Epic open at 15:00 GMT+2 on Monday 25 March. Have your browser set to www.cape-epic.com to ensure that you’re in with a shot of guaranteeing yourself a spot at the start. Annika Langvad and Anna van der Breggen (Investec-songo-Specialized) collected their seventh stage win at the 2019 Absa Cape Epic to give Langvad her fifth victory in the gruelling eight-day race. 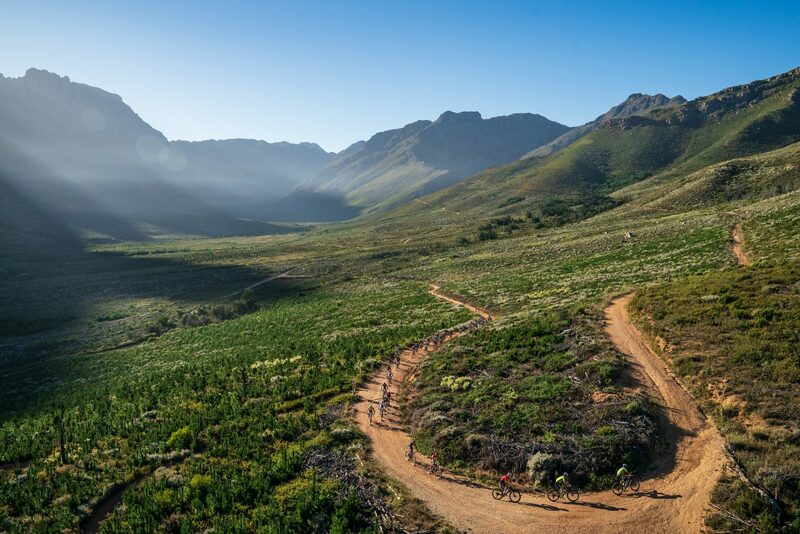 On Sunday at Val de Vie Estate the five-time World Marathon Champion Langvad, and World Road Race and Olympic Champion Van der Breggen, broke away from Candice Lill and Adelheid Morath (Summit Fin) within the last kilometre of the Grand Finale Stage to complete a one-sided victory. The Investec-songo-Specialized pair established their superiority on the opening Prologue on the slopes of Table Mountain National Park a week ago and never looked like being headed throughout the eight stages around the Western Cape. Even when Lill and Morath pounced on the chance of a stage win on Friday, when Van der Breggen was having a rare off day, it always looked like nothing more than a temporary setback for the dominant race winners. In the 70km final stage from Stellenbosch University to Val De Vie Estate, Lill and Morath ended just 17 seconds behind but were over 30 minutes behind on GC. Ariane Lüthi and Maja Wloszczowska (Kross-Spur Racing) finished third on both the stage and overall standings. 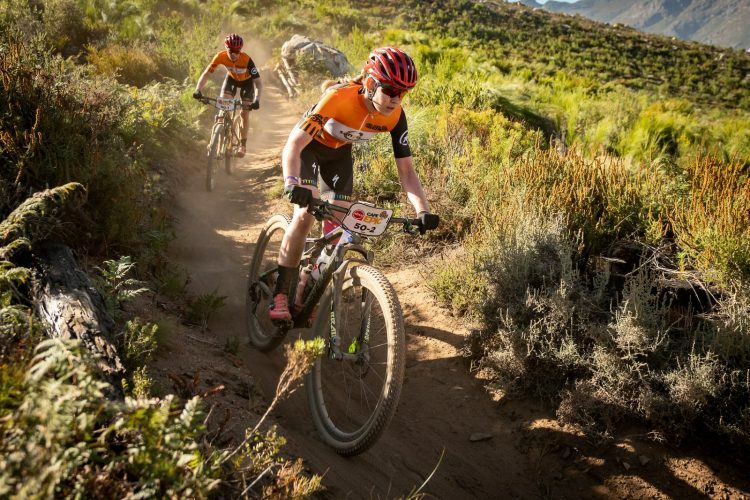 Langvad was surprisingly calm about collecting her fifth win and matching the record of Absa Cape Epic greats Karl Platt and Christoph Sauser; her focus was rather on Van der Breggen and her first victory. 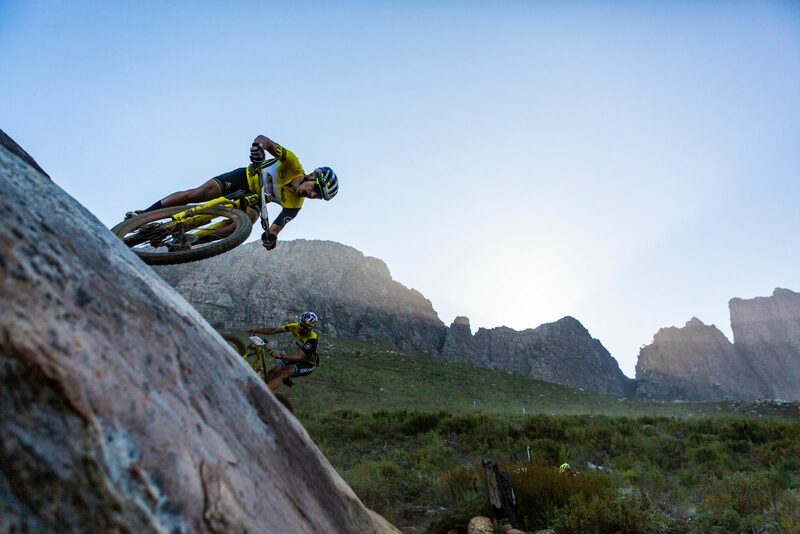 “The Absa Cape Epic is always so intense, the ups and downs … it has been so emotional this year. It has been such a good week and I have really enjoyed riding with Anna and forming a new partnership. It has been a blast. Van der Breggen looked relieved to have completed what she believes to be her biggest ever week on a bike. “It was a really tough week. It was such a new experience and so nice to do something totally new and see the boundaries where you can push your body. 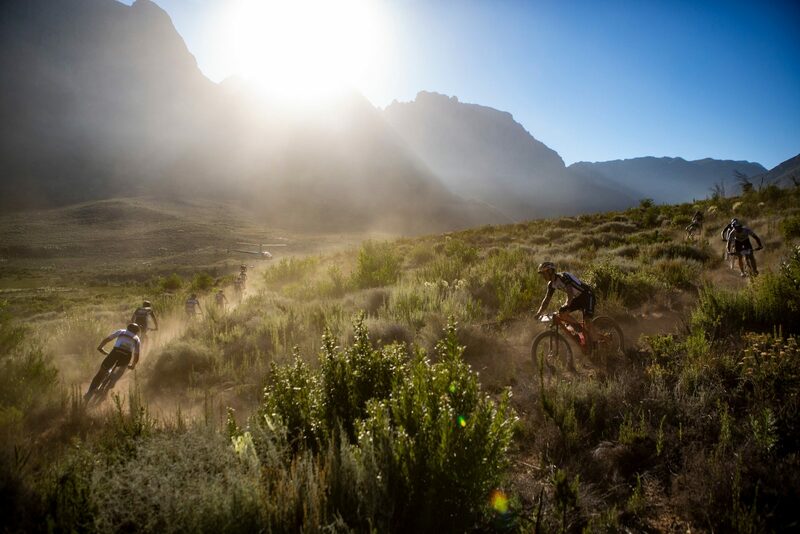 And what will it take to beat Langvad, who has now won all five times she has started the Absa Cape Epic? “I don’t know” she said with a smile – and it seems her opponents don’t know either. In the race for the Absa African Women’s Jersey, Theresa Ralph and Sarah Hill of team Galileo Risk comfortably completed the stage in sixth position, the same place they ended all week, winning the Jersey for 2019.
non é affatto detto… nino sarebbe sempre e comunque di gran lunga favorito, ma le dinamiche di una corsa a coppie sono ben differenti da una individuale. Considerando quanto pistava Shurter alla fine il team Cannondale non si è difeso così male..
Col senno di poi al team Cannondale è andata di gran C… essere riusciti ad arrivare secondi. Fumic decisamente in riserva già dopo qualche giorno , due cadute e sempre a ruota , il meno in palla dei sei a podio. Nino Nino Nino ma se ha vinto è anche merito di Forster che quanto meno ha tenuto il passo (e che passo) . Concordo con LUCAMOX quando parla di “aiuti tecnici tra compagni di equipe ” eticamente non corretti , avere la squadra B che all’occorrenza ti passa una ruota fa comodo…fortuna che Scott si è presentata con lo squadrone al gran completo. be… un riferimento alla vittoria del team WIlier alla tappa 6 si poteva anche inserire! in questo caso penso che fossero anche i migliori … poi a questi livelli anche la coppia al 20° hanno dimostrato di avere doti top in grado di vincere una tappa! paolo_iati su Che fine ha fatto il gruppo Shimano XTR 1×12?